Potatoes are unusual in the vegetable world in that they actually do better with a pH between 5.5 and 6.0 against the preferred 6.5 to 7.0 of most else. Apart from anything else the somewhat acid soil deters a disease called common scab that likes dry, alkaline conditions. Because of this potatoes should be grown as the last crop before liming in any crop rotation. It’s often said that potatoes are a good crop for clearing ground, especially new ground, before planting other vegetables. The truth is that it is the amount of work required to prepare and cultivate the ground for potatoes that clears the ground. The year starts early for potatoes, in January when you should order your stock of seed potatoes. Although there is such a thing as potato seed, usually only breeders make use of them. Potatoes are grown from seed potatoes which are just small potatoes, about the size of a hen’s egg, saved from the previous year’s crop. Most UK seed potatoes are grown in Scotland where disease spreading aphids aren’t around and under strict conditions to avoid spreading disease. You can save tubers from one year to the next but this increases the risk of passing on and strengthening disease. I would suggest you can get away with it for 1 year but then get fresh clean seed for the next. Do not just try and plant potatoes from the supermarket. More often than not you will be wasting your time as they have been inhibited to prevent sprouting although I have had success with some Anya that had started to sprout. 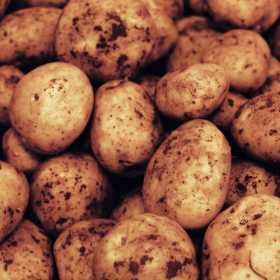 To help you decide what seed potatoes to order we’ve listed the best potatoes for flavour and chipping, mashing etc. You might want to look up the information on potato blight as well and pick resistant strains as the disease has been so wide spread and virulent in recent years. First Early – these are the fast developers who produce new potatoes. Depending on variety they will be ready to harvest between 10 and 12 weeks after planting. Second Early – slightly slower these are ready to harvest between 13 and 15 weeks after planting. 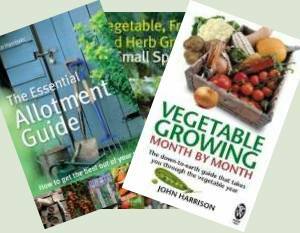 Maincrops – these take anything from 20 weeks for the early maincrop varieties to 26 weeks for late maincrops. The early varieties produce less per plant and per square metre of ground used but most often miss the blight which is the biggest threat. Many home growers just don’t bother with the maincrops but they are the most productive per plant and for land used. Maincrop potatoes tend to store well so you can be eating your own spuds all year round. Chitting is the process of pre-sprouting before planting. 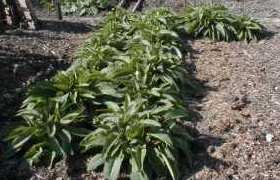 Some authorities say it benefits maincrops but not earlies, some say it’s of no benefit and some it is of benefit to all types. My attitude is that nobody says it does any harm to chit potatoes. As the seed tubers are usually with me in January I may as well chit them. Check out Potato Fertiliser Program for soil preparation prior to planting. In the sunny south of the UK you can start planting in early March, mid-March for the Midlands and late March to early April further north. The idea is that the soil has started to warm and by the time the foliage comes through the main frost danger has passed. To plant you can just make a hole with a trowel and pop the seed potato in or you can draw a trench about 100mm deep and place the potatoes in it. You then pull the soil from the sides to cover the potatoes, producing a ridge. Your first and second early potatoes should be planted about 30cm apart in rows about 60cm apart. The maincrop, being the heaviest cropper, need a bit more space so plant them about 40cm apart in rows 75cm apart. 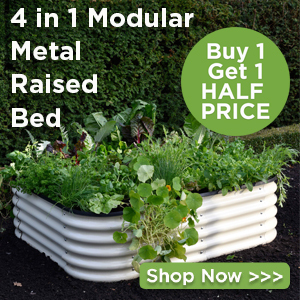 In raised beds with early varieties you can plant 30cm apart reducing the row width to 45cm. Below that reduces yield and overcrowding increases the risk of disease problems. Some varieties, e.g. Sarpo Mira, yield well and produce a lot of foliage so increasing their spacing to 60cm in the row and the row spacing to 100cm increases productivity. Check the individual variety description with the seed merchant. As the plants grow you need to draw the earth from the sides of your rows over the plants. This process is known as ‘earthing up’ and increases eventual yield and protects from late frosts. It won’t hurt the plants when you cover some of the leaves by earthing up or slow down growth. There’s a long list of diseases and pests that can affect potatoes, most of them relatively rare, thankfully. The most devastating problem is potato blight which is covered separately. Slugs are a major problem and the use of nematodes is worthwhile as they kill the underground slugs not just the ones on the surface like pellets. A dry period followed by wet can result in tubers splitting or even a potato problem called hollow heart so do water well if the weather is fine. These are covered in detail in the articles below. Can you chit supermarket potatoes? Top-quality suppliers and exclusive offers. Find, compare and buy products, seeds and plants.